Nikon D-type design provides precise distance information for flash and ambient light exposure processes. G-type NIKKOR is designed exclusively for use with Nikon SLR models where aperture is controlled from the camera body. 2 aspherical lens elements for low distortion. 2 Extra-low Dispersion (ED) glass elements for minimized chromatic aberration. Internal Focus (IF) design for smoother focusing and great body balance. Vibration Reduction, engineered specifically for each VR NIKKOR lens, enables handheld shooting at up to 3 shutter speeds slower than would otherwise be possible, assuring dramatically sharper still images and video capture. Exclusive Silent Wave Motor (SWM) enables ultra-high-speed auto focusing with exceptional accuracy and powerful super-quiet operation. Rounded diaphragm to make out-of-focus elements appear more natural. 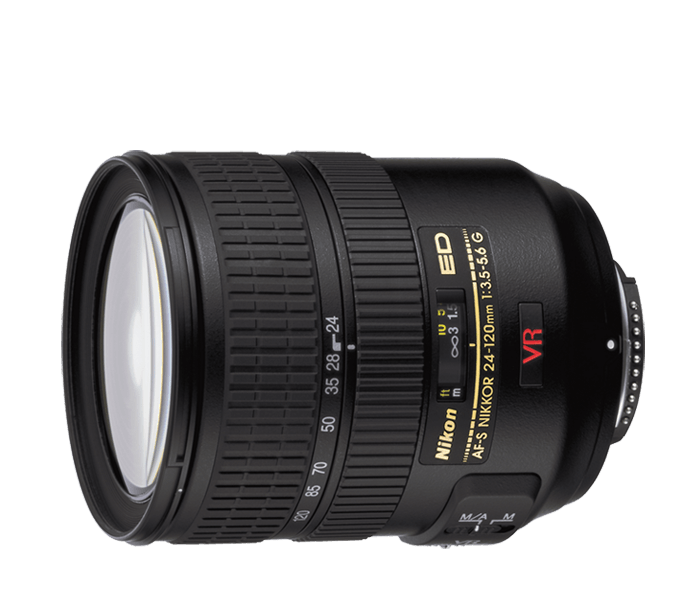 First Nikon wide-angle zoom lens with Vibration Reduction (VR).